Rocopera is the uncle of Avonte Oquendo, the nonverbal severely autistic teenager, who went missing in Long Island City, New York last year. Not only did Mr. Rocopera lose his nephew due to wandering from NYC school but also lost his wife due to a painful and long battle with Leukemia. He spent countless hours taking her back and forth to doctor’s appointments and various therapies. She was on the donor list waiting to receive a lung transplant. Despite his effort and dedication, while trying to provide for his family and raising their Autistic son; she unfortunately succumbed to her illness. 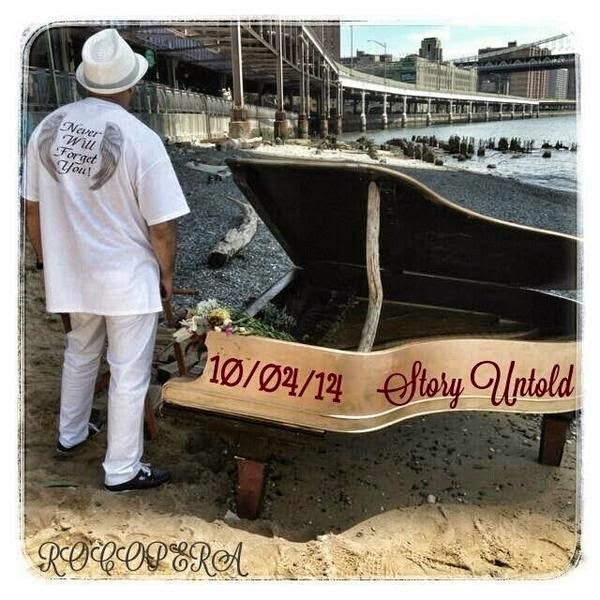 Mr. Rocopera wrote and produced a very moving and passionate tribute called “Never Will Forget You” which is a heartfelt song that recreates the moments prior to Avonte’s disappearance up to the last moment he saw him alive and the passing of his lovely wife for whom he loved in sickness and health, until death she parted. This song is dedicated in their loving memory and the proceeds from this song will be donated to credible charities. The song “Never Will Forget You” will be released prior to October 4th; which will be the one year anniversary of the disappearance of Avonte. A documentary about Avonte’s disappearance is another project in production. Please help us spread the word about both of these projects, produced in loving memory of Avonte and all of those lost to wandering or tragedy. The song and video will be available for free download only on October 4, 2014, the one year anniversary of Avonte's disappearance.